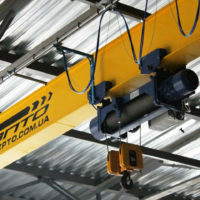 safety devices - emergency stop, key-mark. 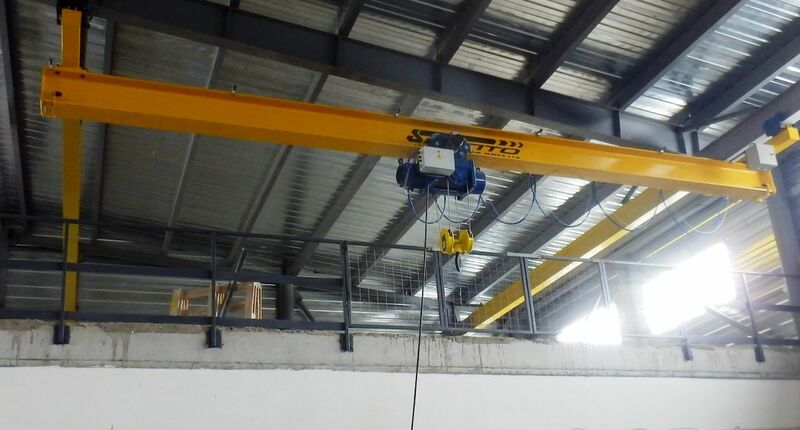 high reliability and durability of the structure. 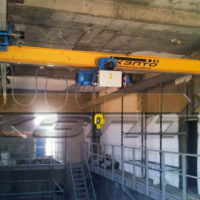 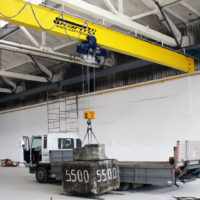 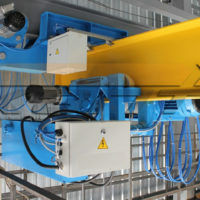 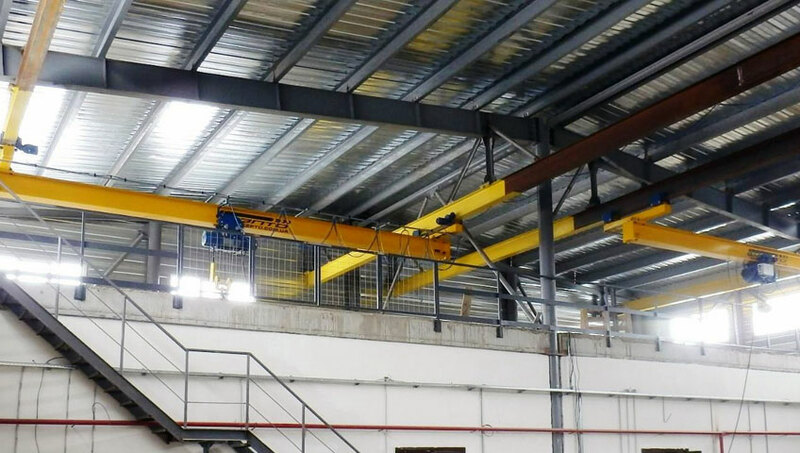 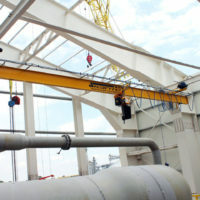 Suspended crane beams are mounted and successfully passed static and dynamic tests. 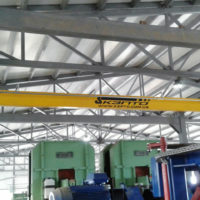 The cranes were handed over to the Customer.